3- 13. UPPER RECEIVER AND BARREL ASSEMBLY (CONT). (a) To check erosion in an UNCHROMED barrel only, insert barrel erosion gage (1 ) PN 7799792 into breech end of upper receiver (2). 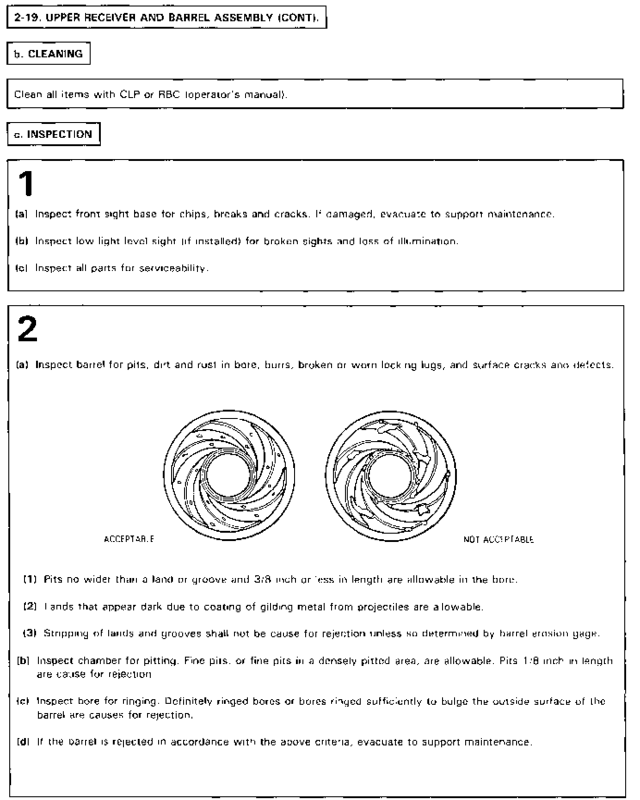 (b) Gage must not go beyond rejection mark when viewed from front edge of magazine well (3) in up per receiver (2). 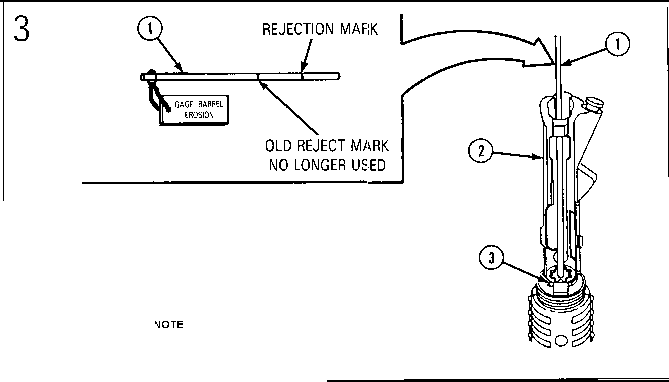 If barrel erosion gage goes past the rejection mark, the barrel is unserviceable. (a) To check muzzle erosion in an unchromed barrel only, insert muzzle erosion gage (4), PN 8448677, into muzzle. Do not check muzzle erosion on chrome barrels. (b) Gage must not go beyond applicable rejection mark or the barrel is unserviceable.